Units 1 & 2 are commissioned and generating electricity. Just two weeks after Indian PM Narendra Modi announced a massive program to build 10 700 MW PHWR nuclear reactors, he closed a deal this week with Russian President Vladimir Putin for two more 1000 MW VVER class nuclear reactors to be built at the Kudankulam site in Tamil Nadu. Reuters reported that Russian Finance Minister Anton Siluanov told reporters the Russian government was lending India $4.2 billion from next year for a 10-year period to help cover construction costs. In addition to the reactors, the two sides are expected to ink 12 agreements in wide-ranging sectors, including science and technology, railways, cultural exchanges and other business areas between private parties. Modi is also hoping that Putin will try to influence China to change its position on India’s application to join the Nuclear Suppliers Group which controls commerce in nuclear fuel. China has opposed India’s membership and has aligned itself with Pakistan. As a practical matter, Rosatom will supply all the fuel for all the VVER reactors at Kudankulam and take back the spent fuel. India wants membership in the NSG to assure reliable uranium delivery for its expanding fleet of home baked units. An agreement with Australia will begin deliveries of uranium later this year. (WNN) Vneshekonombank and Rosatom signed a cooperation agreement that considers the Russian bank’s participation in the project to create an international research center based on the multi-purpose fast neutron reactor, or MBIR according to its Russian acronym. (WNN) Eskom will publish a new pebble bed modular reactor concept design in a leading journal within the next few months, the South African utility’s chief nuclear officer David Nicholls said last week. Nicholls, who presented a concept design at the African Utility Week conference in Capetown, said the design looked to be simpler and cheaper than earlier versions, according to Engineering News Online. Nicholls said a test reactor might be built “over the next years” but a commercial reactor was not expected until the 2030s. (NucNet): The Emirates Nuclear Energy Corporation (Enec) has received the fuel assemblies for Unit 1 of the Barakah nuclear station. The fuel assemblies are being securely stored in Barakah until the regulator, the Federal Authority for Nuclear Regulation (FANR), approves the operating licence for Units 1 and 2. The fuel assemblies were produced by Korea Electric Power Corporation (Kepco), which is providing four APR-1400 units for Barakah, west of Abu Dabhi on the Persian Gulf coast. Construction of Barakah-1 began in 2012 and it is now more than 95% complete. All four units are now 80% complete. Once the four reactors are online, the facility will deliver up to a quarter of the UAE’s electricity needs. Part of the problem is that the reactor in South Korea that was intended to be used to train operators of the UAE units has been out of service due to problems with its electrical cables. (NucNet): The Romanian energy ministry has commissioned a study into the feasibility of using a contract for difference (CfD) to finance the construction of the planned Cernavoda-3 and -4 nuclear reactor units, according to media reports. The reports said the study is scheduled for completion in November 2017 and will focus on the potential for financing all types of low-carbon electricity generation projects, not just nuclear, by way of CfD schemes. It was also reported that the study will look into establishing a method to determine the reference prices for each type of low-carbon technology. In 2013, the UK government approved a CfD scheme to support the financing of two new EPR units to be built at Hinkley Point C in Somerset, England. Under a CfD scheme, the government pays an electricity producer the difference between a fixed ‘strike price’ and an average market price for electricity throughout the lifetime of the agreement. In November 2015, Romanian state-owned nuclear operator Nuclearelectrica and China General Nuclear Power Corporation (CGN) had signed an agreement on the development, construction, operation and eventual decommissioning of Cernavoda-3 and -4, both of the Candu 6 design. Negotiations on the details of an investors’ agreement between the Romanian government and CGN began, but recent reports said the Chinese side had insisted on receiving state guarantees on future electricity purchase prices for the project. The Nuclear Regulatory Commission has authorized the issuance of a Combined License (COL) for Dominion Virginia Power’s North Anna site in Virginia. 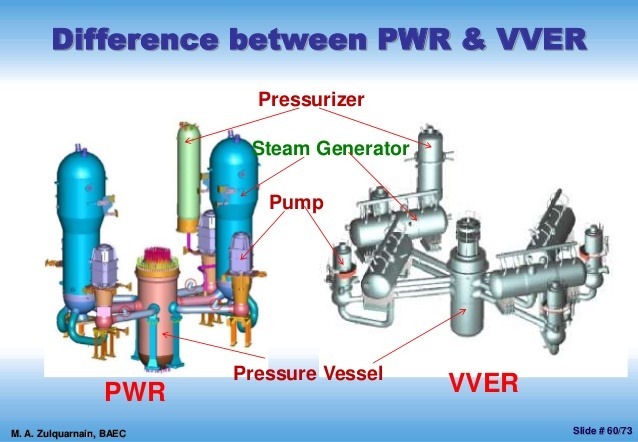 The license grants Dominion permission to build and operate a 1600 MW Economic Simplified Boiling Water Reactor (ESBWR) design at the site, near Mineral, VA. It is the second license issued for construction of an ESBWR the first being to DTE in Michigan for FERI III. The NRC certified the 1,600-megawatt ESBWR design following a Commission vote in September 2014. The Richmond Times Dispatch reported that given the enormous cost of the Dominion project, which has been opposed by both consumer and environmental groups and has yet to be approved by the State Corporation Commission, it remains unclear whether the utility will actually ever build the reactor. “Basically, having a combined operating license allows us the ability to build and operate a new unit at such time as makes business sense,” said Richard Zuercher, a Dominion spokesman. “Nuclear energy is important to Virginia and our customers because it provides significant amounts of affordable base-load electricity with virtually no carbon dioxide emissions,” said Thomas F. Farrell II, Dominion’s chairman, president and CEO. Dominion has spent roughly $600 million to date on planning, engineering and developing the 1,600-megawatt General Electric-Hitachi-designed reactor. Actually building the reactor is estimated to cost about $19 billion. This works out to an “over night cost of $11,800/Kw. The newspaper pointed out that about 40 percent of Virginia’s electricity comes from Dominion’s nuclear reactors at North Anna and Surry, and the company plans to seek approval to extend the licenses of those power plants. The two North Anna plants that are in revenue service provide 1700 MW of power and were completed in 1978 and 1980. It is unlikely that neither North Anna 3 nor Fermi III will be built until natural gas prices move north of $6 MBTU and show clear evidence of staying there. Electricity demand in the U.S. is flat as the nation is still in a slow recovery from the great recession of 2008. Labor rate participation continues to drop according to the Bureau of Labor Statistics which puts reports of low unemployment in that context. It is a key indicator of the overall level of business activity in the U.S. The process of applying for and reviewing the license was quite slow. Dominion submitted the North Anna application for an ESBWR adjacent to the company’s two existing reactors to NRC on Nov. 26, 2007. The NRC’s Advisory Committee on Reactor Safeguards independently reviewed aspects of the application that concern safety, as well as the staff’s final safety evaluation report. The committee provided the results of its review to the Commission on Nov. 15, 2016. The NRC completed its environmental review and published the final impact statement for the proposed reactor in February 2010.